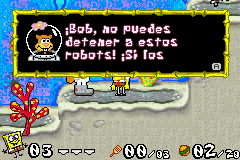 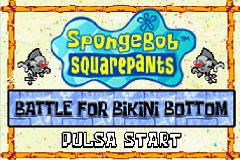 SpongeBob SquarePants: Battle for Bikini Bottom is an action platforming game for the Game Boy Advance. 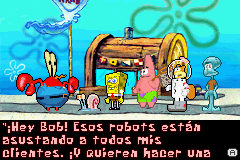 SpongeBob SquarePants: Battle for Bikini Bottom is a 2003 video game based on the animated series of the same name, developed by Heavy Iron Studios, AWE Games, and Vicarious Visions, and published by THQ. 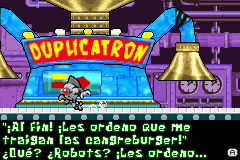 The Gameboy Advance version received a 2D platformer. 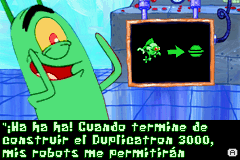 All versions of the game feature an original storyline, in which the player attempts to defend Bikini Bottom from an invasion of robots created by Plankton with a machine called the Duplicatotron 3000, playing as SpongeBob in all versions, as well as Patrick and Sandy in the console versions.